Performed on a variety of instruments including guitar, harmonica, mandolin, banjo, bass and lap steel they are taking their sell-out Bristol show on the road. 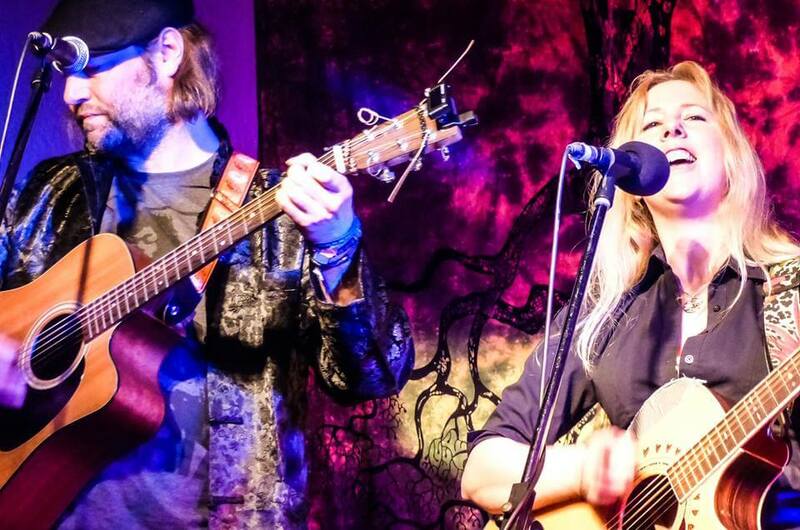 Between them, Sarah Larkham and Elliot Hall have penned over 1,000 songs. An NME journalist once wrote ‘congratulations this is the finest collection of songs I’ve ever had to review’. It is this understanding of the creative process that enables Sarah and Elliot to climb inside the songs and reinvent them while staying true to their essence and soul. Combining the dazzling range and skill of Sarah Larkham’s soul singing with the toughness of Elliot’s bourbon soaked baritone vocals, they have all the tools at their disposal to follow Dylan’s career through the decades from Freewheeling to Modern Times. Backed by multi-instrumentalist Len Leitchti this is a gig for real Dylan lovers rather than copycat tribute fans. Support comes from award-winning singer-songwriter Elliot Hall. ‘A great gig for all fans of Dylan. Sarah and Elliot gave us their own fabulous take on some Dylan classics yet somehow kept the authenticity that will satisfy the diehards.’ Arthur, gig goer.